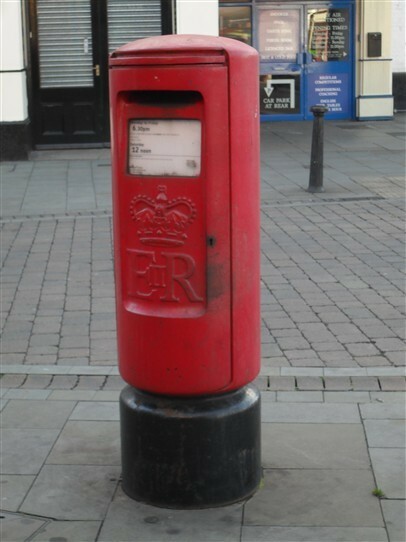 The free-standing Victorian post box pictured above stood - until 2005 - at the junction of Cartergate and Beaumond Cross in Newark. As it was proving too small for the amount of use it received, it was replaced b the one pictured below. This page was added by Website Administrator on 03/01/2017. 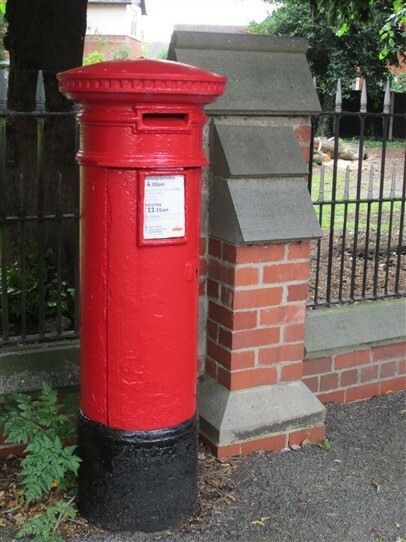 The one in Newark without a royal cypher is a very early Victorian postbox known as an 'Anonymous Pillar'. When they first appeared the public were reluctant to use them and had to be reassured that their mail was safe in such boxes. All public postboxes ever since have included the monarch's initials.